CHICAGO the musical is one of the most high energy and fun musical I have seen and very “drama” too. Just reading the sypnosis of CHICAGO the musical, you can pretty much guess how “drama” it can get! – “Murder, greed, corruption, exploitation, adultery and treachery… all those things we hold near and dear to our hearts”. CHICAGO is based on real life events back in the roaring 1920s when nightclub singer Roxie Hart shoots her lover and how she gets out from death row with the help smooth talking lawyer, Billy Flynn. Her interactions with cell block rival, double-murderess Velma Kelly also makes this CHICAGO musical one of my more memorable musicals. CHICAGO has a relatively simple stage set compared to other musicals (i.e. in terms of changing sets and backdrops) but it has one of the most unique stage set I have seen -> the musicians are right in the middle of the stage set and there are even instances where the performers interact with the musicians. 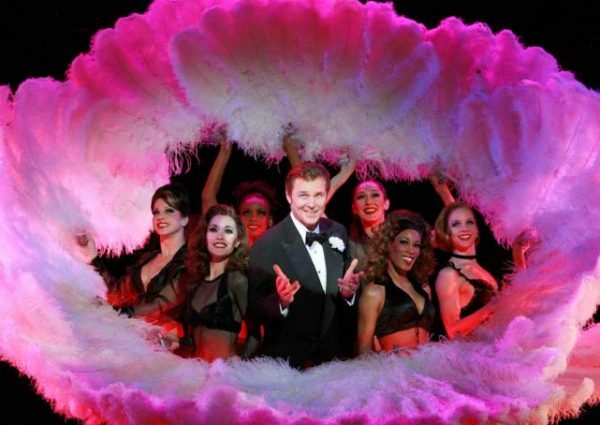 The dance moves of the CHICAGO musical are excellent – I am not a dance choreographer so I cant explain the technical moves but to a layman, I enjoyed how the dance tempos fit it with how the story flows and there are some very impressive moves. A lot of times, there seemed to be chaos with each of the dancers doing their own dancing especially during the part involving the reporters but you will see that this is deliberate – to create the sense of urgency and chaos in the real world situation. 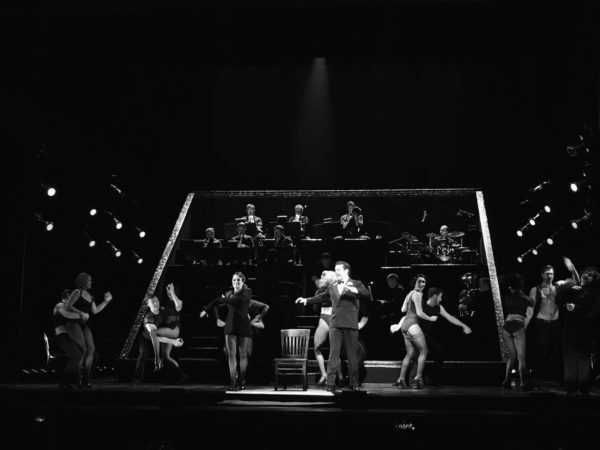 Even if you haven’t seen the movie CHICAGO, don’t worry, the story is easy to follow and the singing and voice articulation of everyone of the CHICAGO cast is very very clear. I was seated quite far behind but that didn’t affect my experience. The story moves very fast though so you do need to catch up and pay attention. 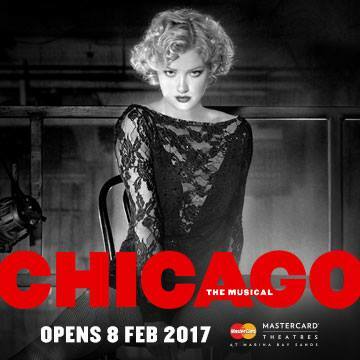 CHICAGO the musical is showing in Marina Bay Sands until 26 Feb 2017. Don’t miss it!